When I was in college, I had never heard of juicing fruits and vegetables. The extent of my – and presumably everyone I knew at the time – knowledge of juicing was in the form of an occasional glass of pasteurized apple or orange juice, a customary 4 oz of which I was forced to sip daily when “cold and flu season” struck again each year. In college, though, I studied a bit of dietetics and nutrition which led to all sorts of extracurricular experiments with my diet. I tried vegetarianism, veganism, smoothie-ism (still my personal favorite), even raw veganism for one illustrious afternoon. When I stumbled upon juicing, I had hit a hard bottom in my college years: gaining weight, feeling directionless, and an overwhelming sense of guilt for the position I found myself. I first read about juicing in a spiritual context, a form of fasting which allows the body to absolve itself of ‘sins of the past’ while rejuvenating and cleansing all of its major systems. In my curiosity and desperation for a mid-course correction, I decided to do a 14 day juice cleanse on which I consumed only freshly juiced fruits and vegetables, pressed by me and my Champion juicer in a deserted basement at the bottom of my dorm. It was more than a little odd, now that I think back, but a time of my life that represents the deepest level of discipline and greatest energy I’ve experienced in my life. Since then I’ve been enamored with the idea of juicing, but rarely feel quite disciplined enough to substitute comfort for cleansing. Thankfully it’s become much more accessible over the past several years, with juice bars springing up all over the nation catering to our more noble and healthy impulses. Aside from it’s health benefits, raw organic juices are now widely recognized as one of the most potent nutrient sources on the planet, all sweetly combined in the most easily digestible form. With plenty more options on the market than the dead, lifeless pasteurized juices found at the supermarket, I’ve become fairly choosy, seeking out juice bars that I can count on to deliver fresh, organic juices with passion, integrity, and even a story to share of their own health journey. Which brings me to Kiel Pollitt. 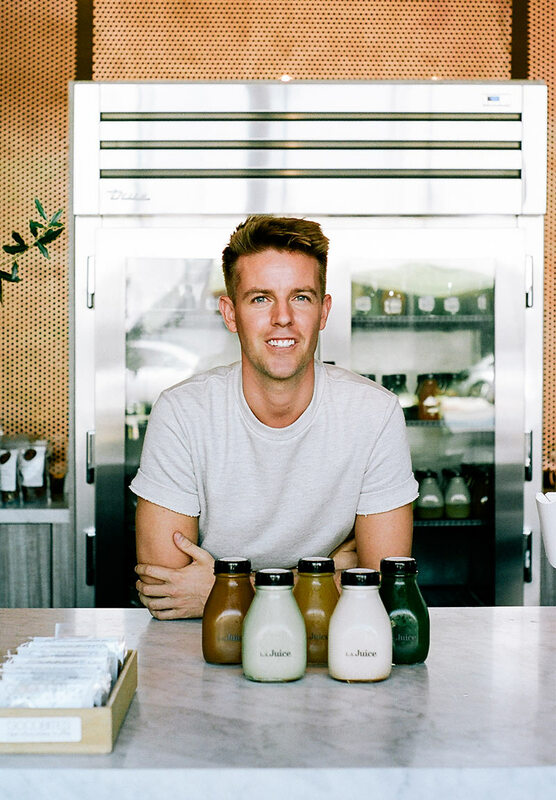 His generosity and commitment to bringing the finest, freshest juices and smoothies to LA caught our attention even before we arrived – our taste buds took over from there. In a city known for it’s infatuation with youth, beauty, and churning out the latest and greatest fad diets and celebrity workout plans, Kiel isn’t out to serve the next big thing. Instead he espouses a deep appreciation for health and well-being, and in the process become a steadfast purveyor of nutritionally dense organic fuel. 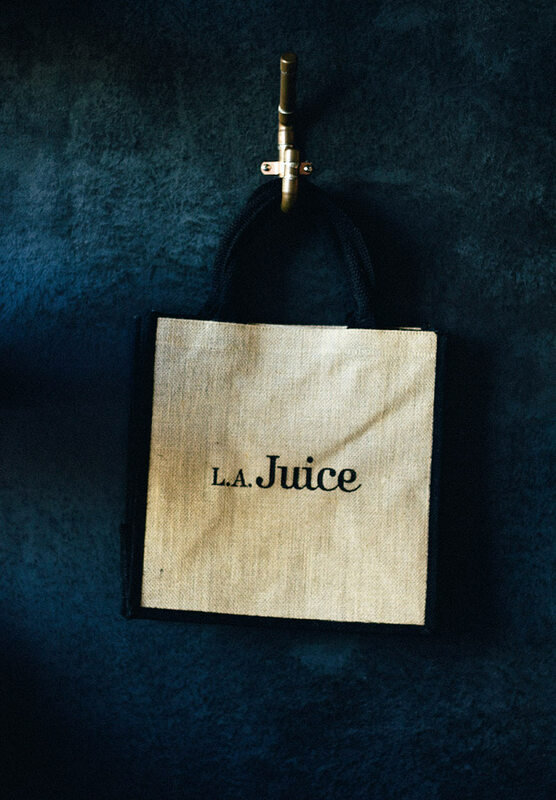 A few things make LA Juice Shop unique from your average juice bar. First, Kiel is a servant hearted owner and operator. 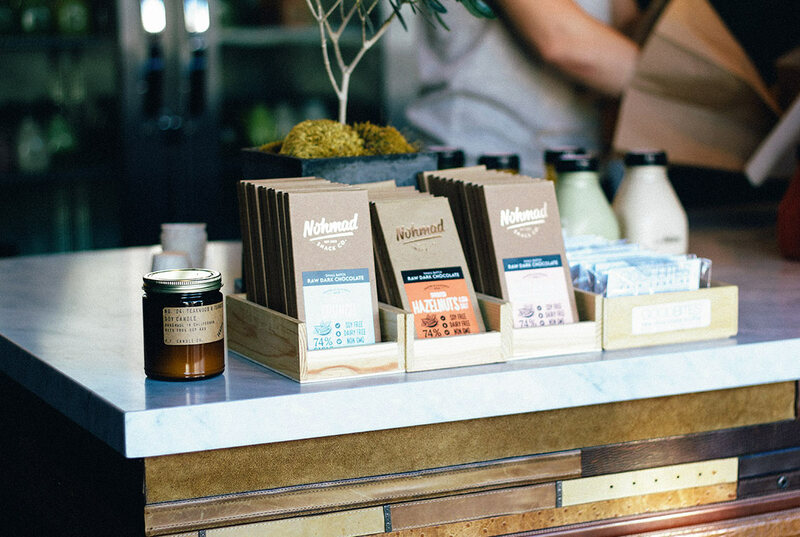 Interacting at the counter you’re sure to be cared for, and catered to for your specific health needs and wants. 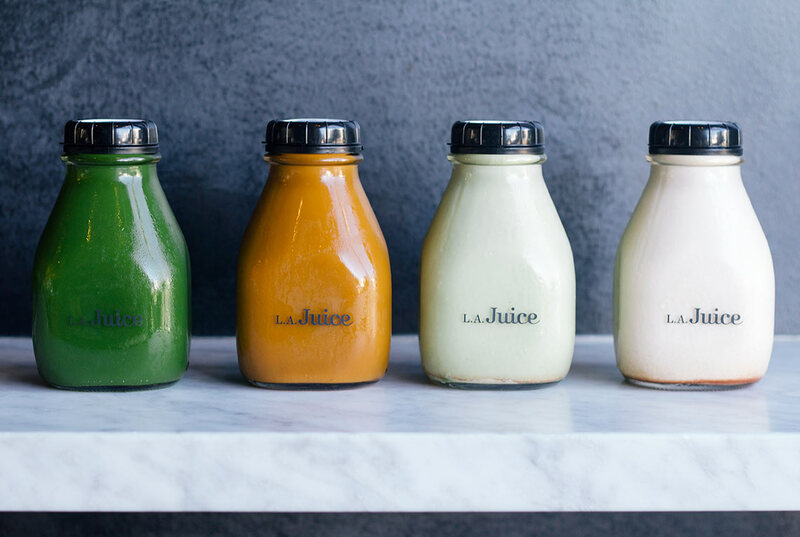 Second, he selected a hydraulic press as LA Juice Shop’s method of extraction, a process that eliminates any heating or aeration of the juice before it is bottled. This maintains the integrity of the plants’ cell walls, rendering the extraction as potent as possible. Because all of the produce used is fresh, locally and organically grown in California, you get more of the best – specifically 2-3 pounds of produce in each bottle. Third, the bottles selected to contain each of these juiced combinations are glass rather than plastic, eliminating any harmful leaching from the commonly used plastic bottles, and they’re fully recyclable. Kiel even offers a discount for returning used bottles to encourage customers to reduce waste with each sip. 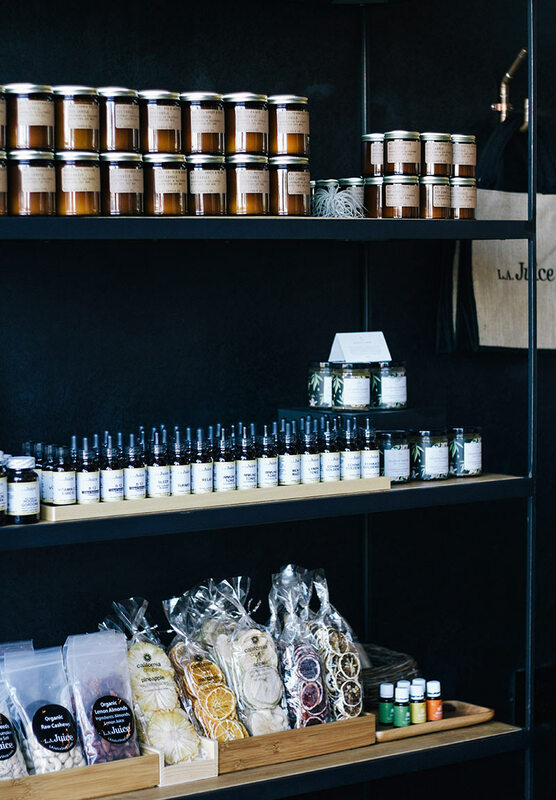 And finally, the juices he and his team produce are extracted and bottled directly behind the counter you purchase from, ensuring that they deliver the freshest and most delicious juice possible. Combined, these attributes make Kiel’s shop an expression of his own story, one of living a life committed to vitality and potential. He strives to offer his personal expression of a healthy life, and to share the tools he’s discovered. 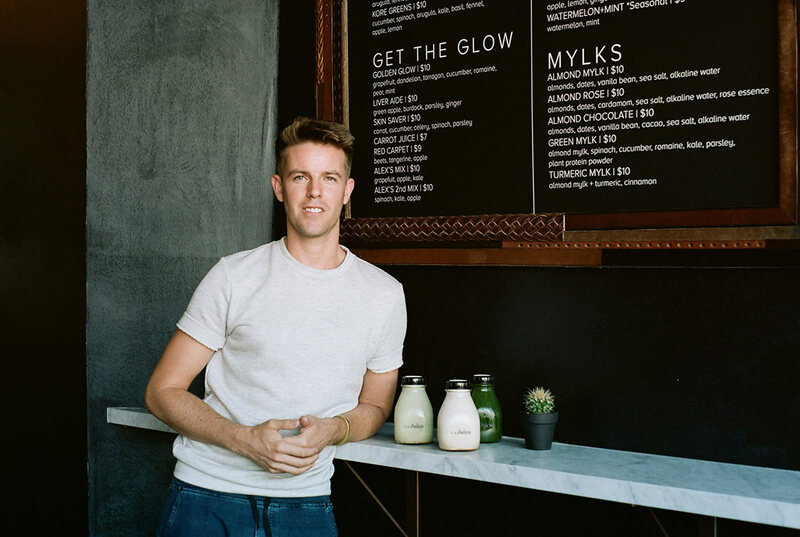 If you’re in LA, be sure to seek out Kiel at LA Juice in West Hollywood and sample at least one – if not all – of his incredible combinations!